Tweetie is by far the cleanest, most versatile Twitter client I have ever used for the iPhone. Find out what makes Tweetie stand out from the rest below! Twitter, one of the most pervasive social networking services has grown to encompass over 6 million active monthly users. It seems that everyone from President Obama to Britney Spears is now tweeting everything from breaking news to interesting articles and cool events going on. If you’re new to Twitter, or don’t have an account, you should sign up here. If you’re on a Mac be sure to check out my previous article on “Getting the Most from Twitter on your Mac” to get started from your computer. The iPhone provides one of the greatest interfaces to Twitter seen to date- arguably much nicer than the Twitter web interface or other Twitter (computer based) software- with its integrated camera, GPS (or GPS like capabilities) and multi-touch you can not only stay on top of Twitter but interact with it in new ways. 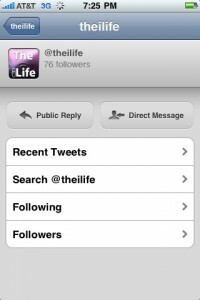 Although there are dozens of Twitter applications for the iPhone platform, there are only a few that really stand out. Tweetie implements the full Twitter API- which means all the possibilities Twitter offers to developers is implemented in Tweetie. Upon first glance, Tweetie displays tweets and messages making use of the iChat style bubbles. At the bottom menu you can quickly switch between your Tweets, @Replies, Messages, Favorites and More- which includes “My Profile”, “Go to User”, “Nearby”, “Trends” and “Search”. Tweetie is very simple, easy to use and works the way you expect it to. 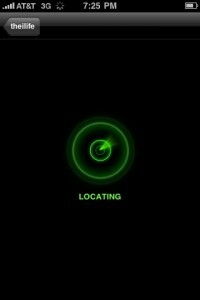 Everything you would want to do is available to you fast- starting with support for multiple Twitter accounts, updating your location, browsing tweets by location and even Twitter searching and trend viewing. You can view links posted in tweets through the built in Safari browser or even re-tweet the link! And all links posted are automatically shrunk with the bit.ly service. Even photo uploading is simple, as Tweetie allows for quick access to your photo library or camera and will compress and upload each photo you tweet to TwitPic.com. Until Tweetie came around in November 2008, Twitterific and Twinkle respectively held the titles of the best paid and unpaid Twitter clients for the iPhone. 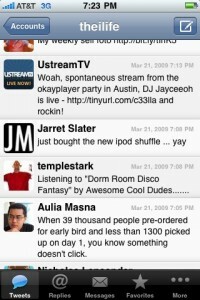 Although Tweetie costs $2.99, it clearly provides quite simply the best Twitter experience on the iPhone OS platform. If you are on Twitter, this application is a must have.